This home has it all! Waterfront Family Compound enjoyed by the same family for over 40 years. 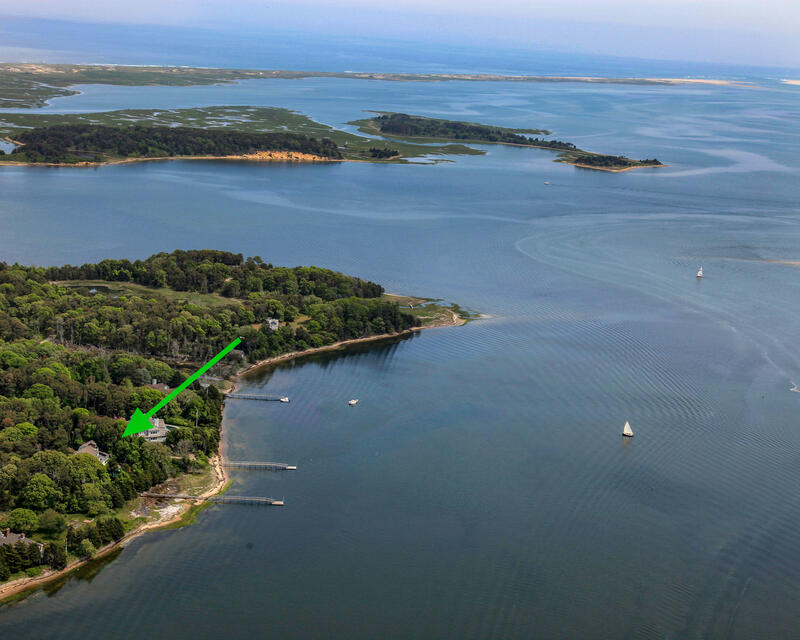 Licensed deep water dock on Little Pleasant Bay, heated in-ground pool with expansive deck. 2.96 acres with abutting conservation land. This property offers you the ultimate views of Cape Cod's incredible sunsets and the utmost privacy. ''Main Residence'' features 5 bedroom and 4 bathroom custom-built home. A large great room has cherry wainscoting and multiple glass sliders lead out to the expansive deck, pool, dock and waterway. Kitchen with custom cabinetry has adjacent multi-functional/catering room...perfect for entertaining large gatherings or handling a busy family life. Light filled Sunroom brings the outside in. Formal Dining Room is conveniently located between the kitchen and sunroom There are two first floor bedrooms and two full bathrooms. Master bedroom has en suite bath. Other bedroom is currently being used as a library and has built-in bookshelves. Upstairs offers three more bedrooms and two additional full baths. Two of these bedrooms have attached rooms for extra sleeping guests or bonus space. Finished lower level has access to 2 car garage, plenty of storage space and a wine cellar. "Boathouse/Studio" overlooks a beautiful tidal marshland and has 2 oversized bays for boats or car storage. 1500 square foot building has amazing space upstairs (with separate septic system from the main house) with half bath, wood floors and high ceilings offers wonderful possibilities. The Boathouse/Studio cannot be used as permanent living quarters, but could make an excellent entertaining/home theatre space, artist's studio, gym, (or workshop, as it is currently being used). Bring your imagination! Directions to Property: Main St East Orleans to Barley Neck Rd. Right on Old Field Rd. 1st driveway on the right. See Sign.